President Obama said in his 2011 State of the Union address that “American Muslims are a part of the American Family”. On May 14, 2011, MOOZ-Lum gave us an example of what a family that he spoke of looks like. 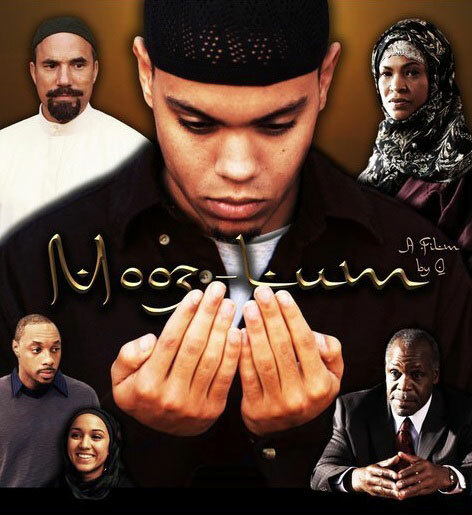 The Founders of Muslim News Digest was fortunate enough to bring the highly anticipated Movie, MOOZ-lum, to the UMKC Student Union Theatre. For those of use that attended were in for quite a treat, as well known actors including Danny Glover, Nia Long, and newcomer Evan Ross (yes Dianna Ross’s son) made their appearances. This movie has been highly anticipated throughout the Muslim Community and received raving responses not only on Social networking sites such as Ummah Stream and Facebook but also on various News websites including the Examiner. With all the chatter I knew I had to be in the crowd to view it. Everyone growing up Muslim or MOOZ-lum in this case has experienced adversities when dealing with peers that are uneducated about our religion, and Tariq is no different. This movie takes place in Michigan just before the 9/11 attack on our Country and takes us through Tariq’s “T” (as he prefers) childhood. As a child he endures physical abuse while attending an Islamic school for boys which later sets the tone for the whole movie. Because of the abuse, he becomes distant with his religion and most of all his family. His inability to make his Father proud “bringing honor to his family” takes a toll on him spiritually as well as mentality. He ends up cracking under pressure while going off to college. After 9/11 and a series of events that happened on campus, he begins to realize who he is with the help of friends, College Professors, including bringing his family back together, he is able to come to grips with reality and more importantly his Muslim identity. *** A Must See!